Random pop-ups that appear on your screen out of nowhere are definitely annoying, and so computer users often try to block them. It is possible to block pop-ups via your browser’s settings, but there are also third-party applications that might help you do that. BestAdBlocker might look like one of those applications, but you are strongly discouraged from using this browser extension. This program is just an adware application that collects data on your web browsing habits and then exposes you to potential security threats. Therefore, it would be for the best to remove BestAdBlocker from your computer as soon as possible. When we take a look at the technical side of this application, BestAdBlocker does not present us with anything new. The program belongs to the Multiplug family of adware applications that are all based on the JustPlugIt engine. Consequently, BestAdBlocker is practically the same as BuyFast, BrowserAShop, DollarSaver, BuyAndBrowse, and many other applications. The only difference is that while the other applications were supposedly there to provide users with shopping discounts and coupon offers, BestAdBlocker is supposed to help you block annoying ads when you browse the Internet. The problem is that BestAdBlocker itself is known to display commercial advertisements, so its primary function becomes redundant. We would like to point out that BestAdBlocker does not enter your system surreptitiously. Some users think that such applications are dangerous infections, but that is not exactly the case. You install BestAdBlocker yourself, although you may not be aware of that. This happens because adware applications get distributed in software bundles. 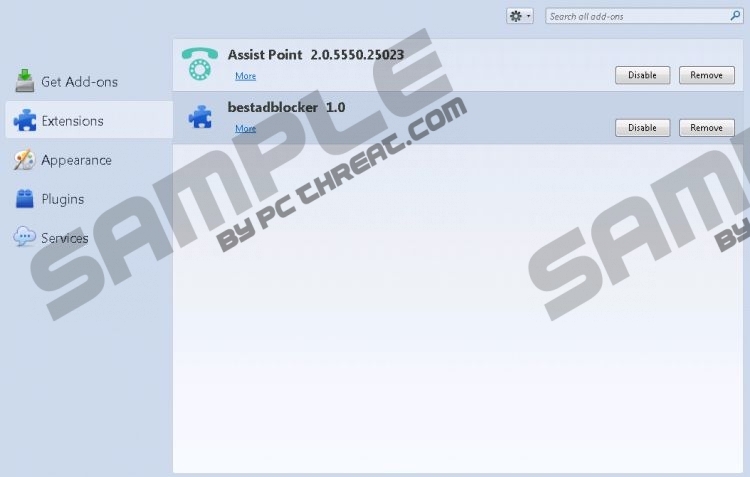 In other words, you install BestAdBlocker together with a number of other freeware apps. The program is usually distributed via the InstallRex installer that is available for download at torrent and other pirated software sites. The installer file is often embedded in some fake download button that users click without any second thought. As a result, the likes of BestAdBlocker enter your system. It is important that you remove BestAdBlocker right now because this adware program may lead to severe computer security issues. Naturally, it is not a direct computer security threat, but programs from the MultiPlug group are known to be exploited by cyber criminals to promote corrupted content. What’s more, BestAdBlocker might have arrived with other suspicious applications that you must remove as well. So when you uninstall BestAdBlocker from your computer, make sure you run a full system scan with the SpyHunter free scanner to search for other threats. If you find that you cannot remove those programs manually, do invest in an automated software removal tool. Open Uninstall a program and remove BestAdBlocker. Select Uninstall a program and remove BestAdBlocker. Press the Windows button and click Control Panel. Go to Add or remove programs and uninstall BestAdBlocker. Disable and remove BestAdBlocker from Extensions. Remove BestAdBlocker from the list. Quick & tested solution for BestAdBlocker removal.